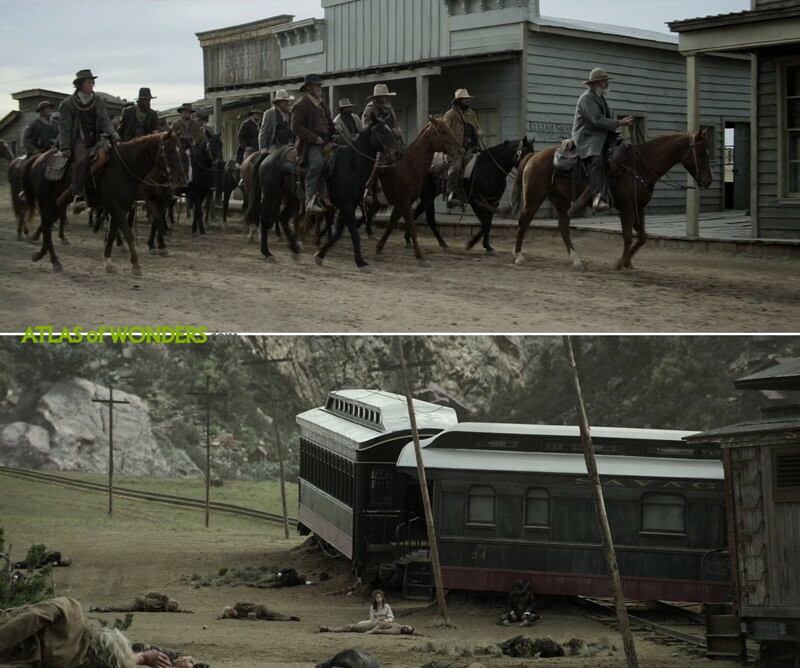 Filming Locations: Where was Godless filmed? 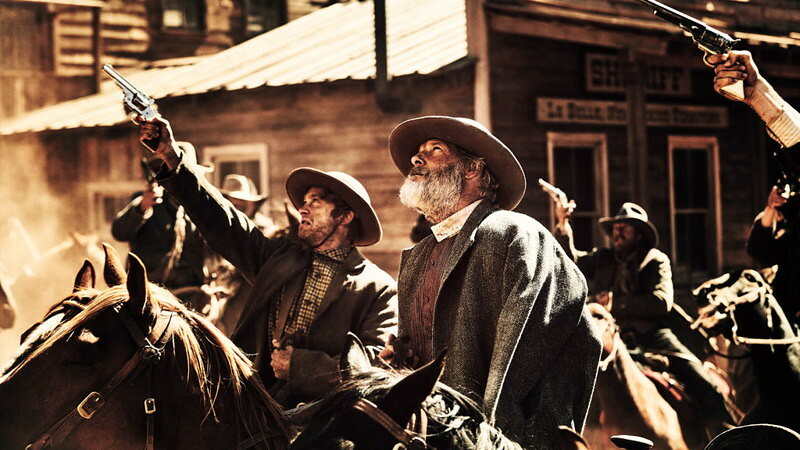 Godless tells the story of a little town run by women, struggling to get ahead after a mining accident killed most of the men. 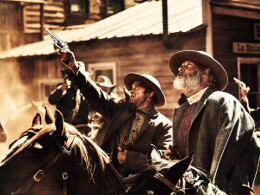 At the same time, a gang of outlaws are soon going to meet their destiny on the grounds of this town, called La Belle. At first, this limited series was planned to be a two-hour film. No doubt that extending the original script to a seven-episodes series was a good opportunity to unfold, in a masterful way, the interesting plot and its characters. The production was hosted at the sound stages of Santa Fe Studios. The fictional town of La Belle (inspired by some real mining disaster stories), was built at San Cristobal Ranch, some miles south of Santa Fe. 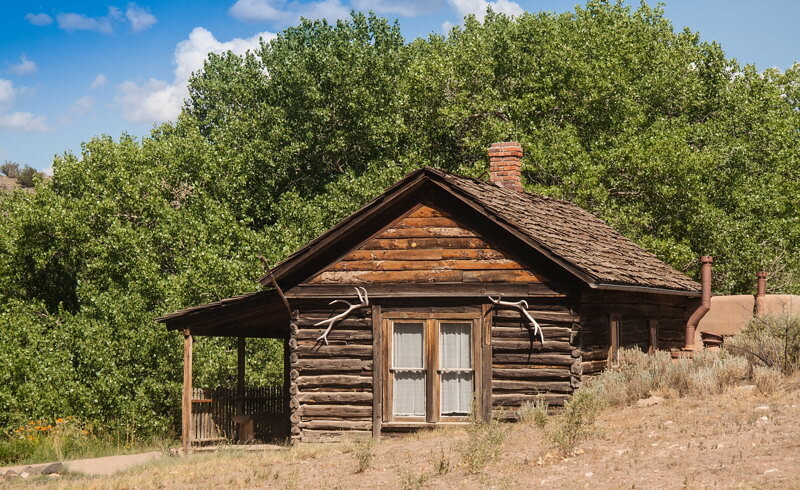 Alice Fletcher’s ranch was also constructed on the land of San Cristobal Ranch. 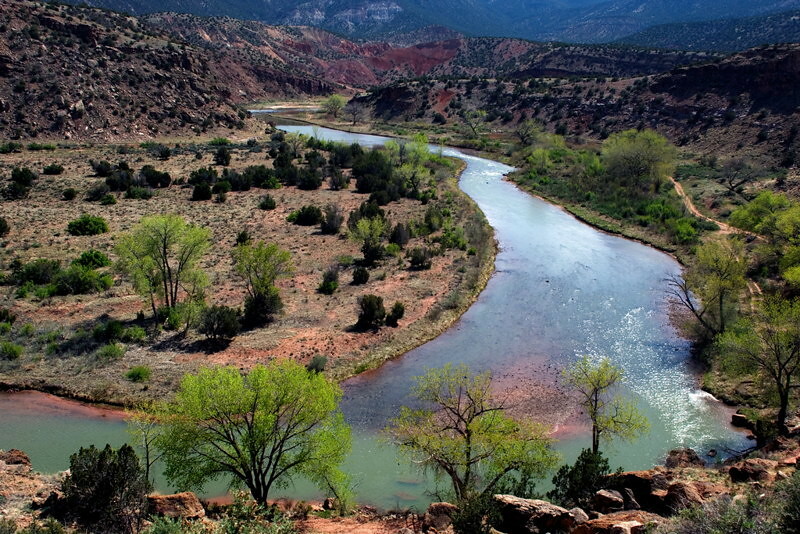 An Indian camp was filmed near Chama River in Abiquiu. 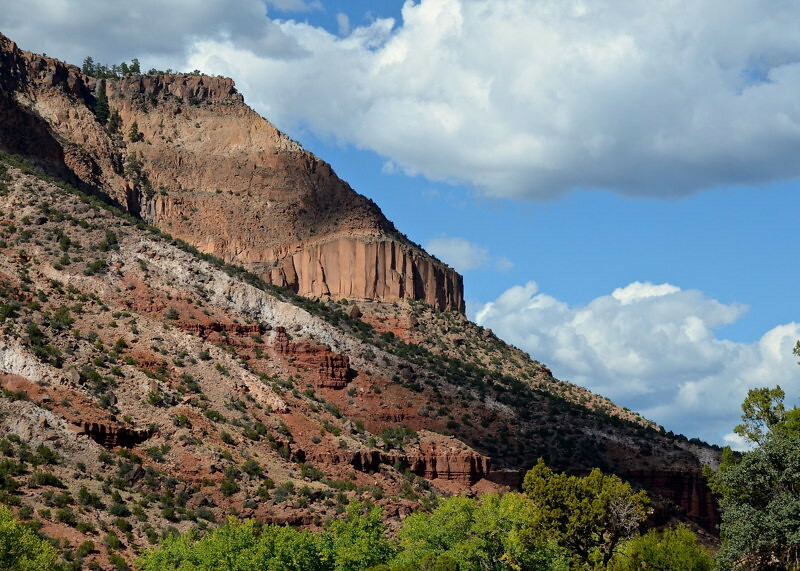 Some of the scenes where Frank Griffin's brotherhood take refuge were shot near Jemez Pueblo. 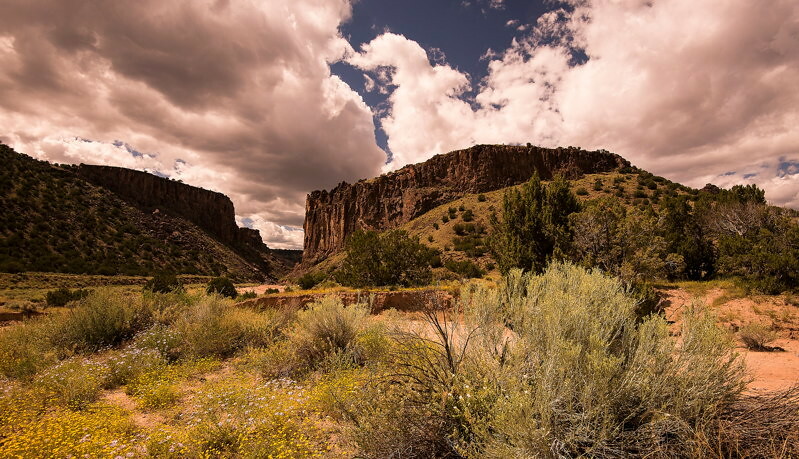 The scene where Frank's men are chasing Roy Goode was filmed at Diablo Canyon, also in New Mexico. 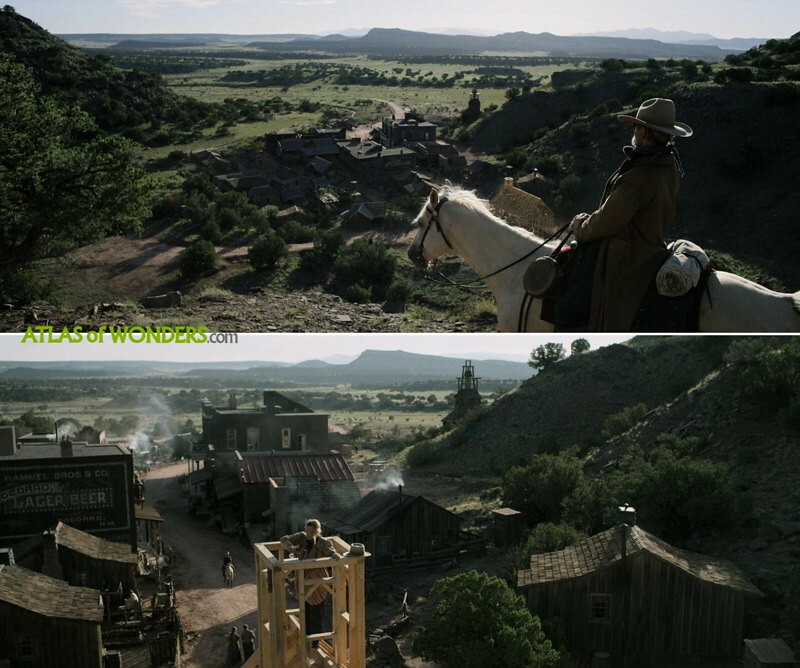 Can you help to improve this article about the filming locations of Godless? To complete and correct this report, any feedback, info or images that you may have are more than welcome, thank you! 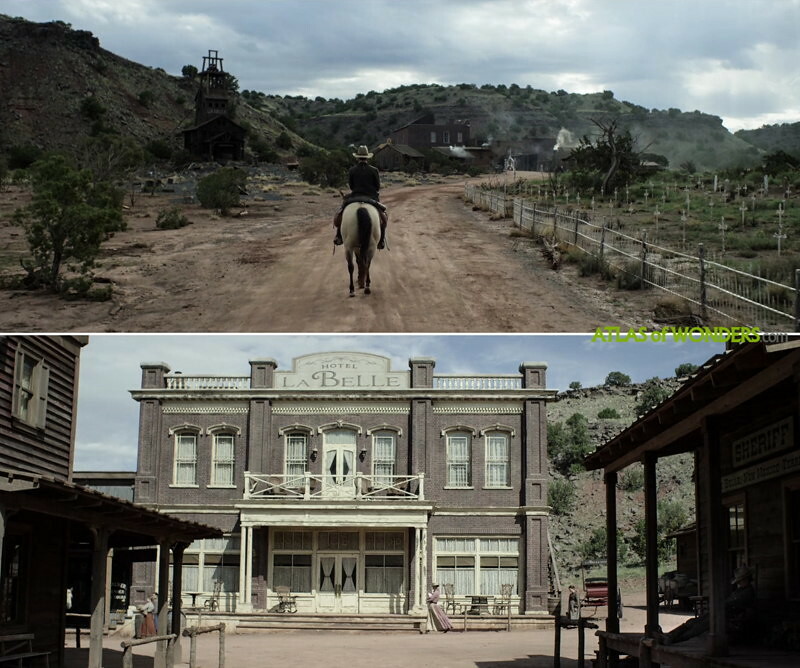 Your correct Julie, I was visiting my brother in Galisteo when they began filming! Where was the scene filmed of Roy killing Frank? Beautiful country! Thanks for the sources! Some of the treeline scense just didn't feel like N.M... but could be wrong. How I live the american western environment.